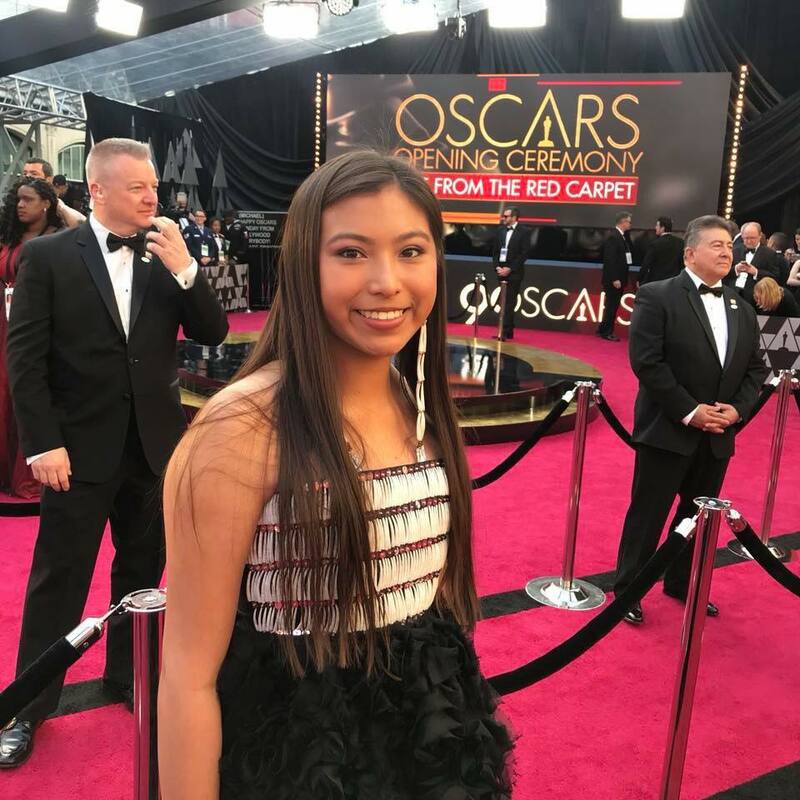 Flying Horse has been named the first contemporary Native American fashion designer to have a gown worn at the Oscars. It's a dream come true for Norma Baker Flying Horse – and any designer – to have one of her fashion designs worn at the Academy Awards show. 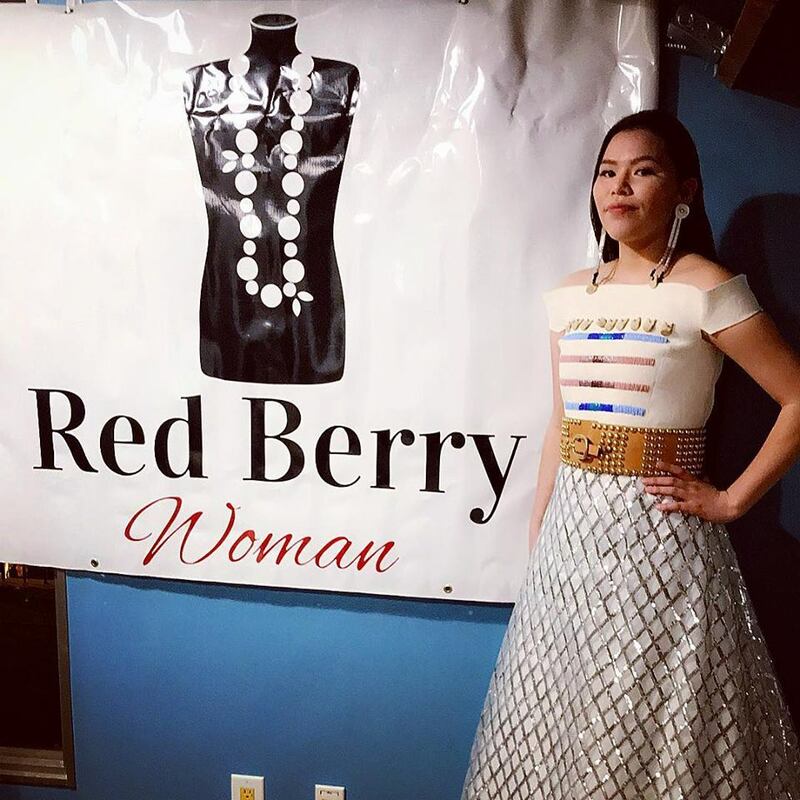 Flying Horse, owner of Red Berry Woman, a fashion designing business at Mandaree on the Fort Berthold Reservation in western North Dakota, has been named the first contemporary Native American fashion designer to have a gown worn at the Oscars. "This is every designer's dream to dress an individual for this historic show," Flying Horse said, telling about her achievement on her Red Berry Facebook page. She said Natalia Montclair and her daughter, Alice Brownotter, of Fort Yates, made that dream a reality for her. "Miss Alice was an onstage guest of singer songwriter and activist Andra Day. She represented her home, the Standing Rock Nation, as well as the rest of Indian Country who felt such pride to see her among Hollywood's elite. Thank you Natalia and Alice for allowing me to be your Red Carpet Designer. I'm so very honored and proud," Flying Horse said. Brownotter was asked to be one of the 10 activists at the Oscars held earlier this month. 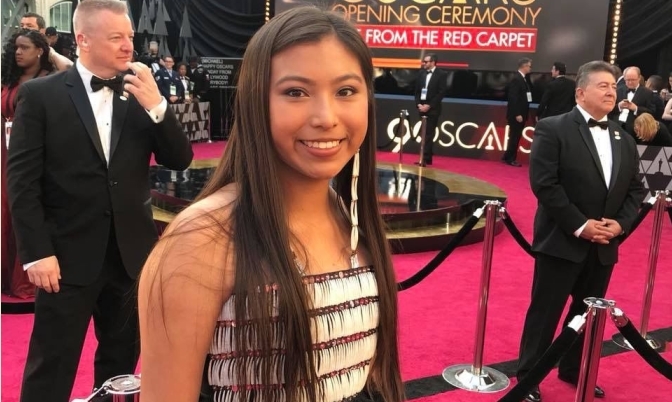 "The 14-year-old is active with Standing Rock and the #NoDAPL movement, having run 1,519 miles at the age of 12 from Standing Rock Sioux Reservation in North Dakota to the front steps of the Army Corps of Engineers office in Washington, D.C., to protest the construction of the Dakota Access Pipeline," Flying Horse said. Brownotter's mother has supported Flying Horse's work for some time and when Brownotter was asked to appear on stage of the Oscars, Flying Horse was the first person Montclair thought of who would have a fashion design of her daughter's native heritage. All of the activists who appeared at the Oscars were asked to wear black. Flying Horse already had a gown she designed in black that she knew would work perfectly for the show. The top of the gown that Brownotter wore has dentalium shells. Flying Horse said these shells were once used as currency for trading and are valuable. They also adorn traditional outfits. On Friday in Winnipeg, Callingbull, also an activist for the missing and murdered indigenous women cause, was scheduled to receive a humanitarian award from Indspire, an organization helping indigenous peoples in Canada. 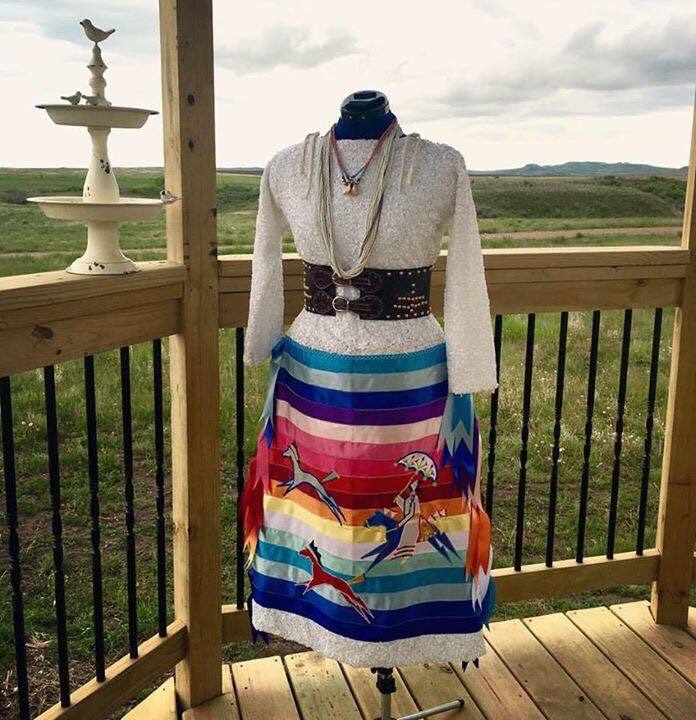 There, she wore a traditional-style ribbon dress that Flying Horse detailed with ledger art of four indigenous women who represent the missing and murdered indigenous women. In her work, Flying Horse said she takes what was worn traditionally and incorporates it into her designs for today's every day and formal wear. 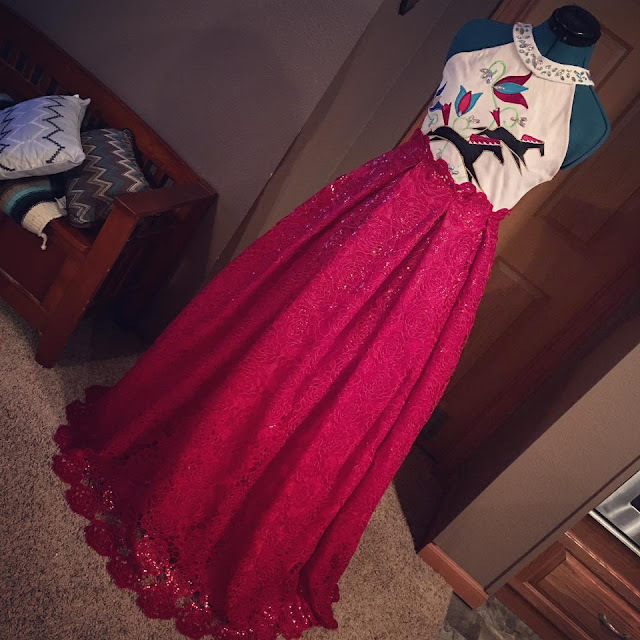 She does unique custom designs. When someone asks her for a specific garment she said she designs it with much of that person's personality. 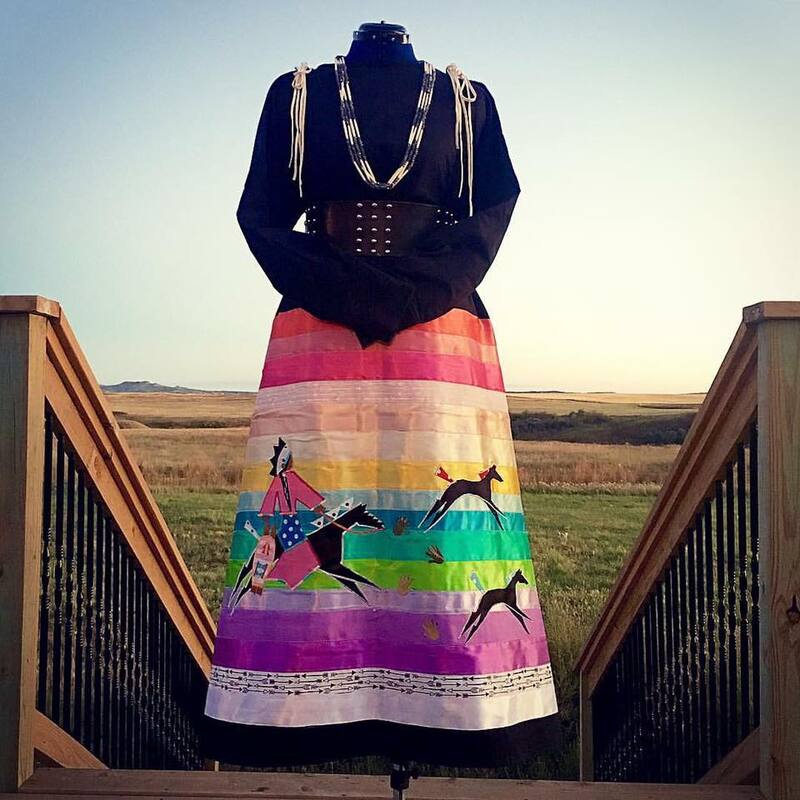 Flying Horse has been sewing since she was 12 years old and making dance outfits for powwows. "My mother (Roberta Baker) taught me," Flying Horse said. She said her mother is an excellent seamstress. 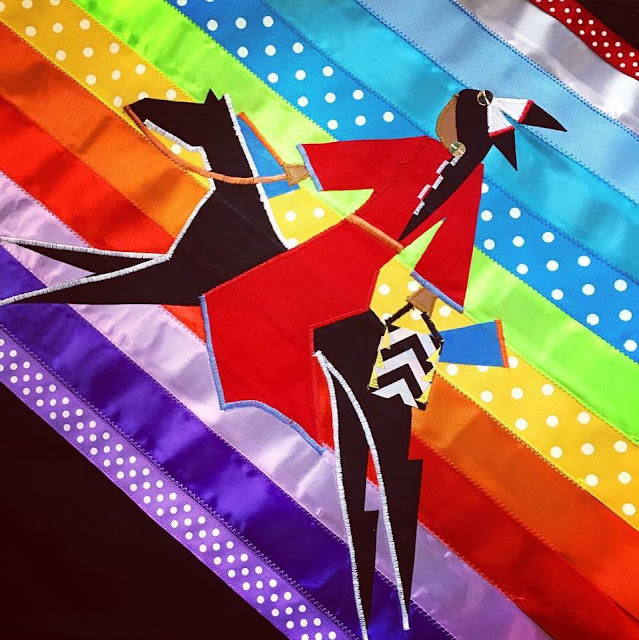 "My grandmother (Beverly Walking Eagle Baker) taught me to do the beadwork," Flying Horse said. Flying Horse grew up "off and on" on the Fort Berthold Reservation. "When I was very little we lived in Mandaree," she said. "I was an Army brat. My mother married my stepfather who was from the Crow tribe. He was in the Army and we were stationed different places. We always came home even when living elsewhere." Nowadays, Flying Horse said it is much easier for designers because of social media. "Past designers really had to work hard to get their name out there. Now it's so much easier to put your work out there," she said. 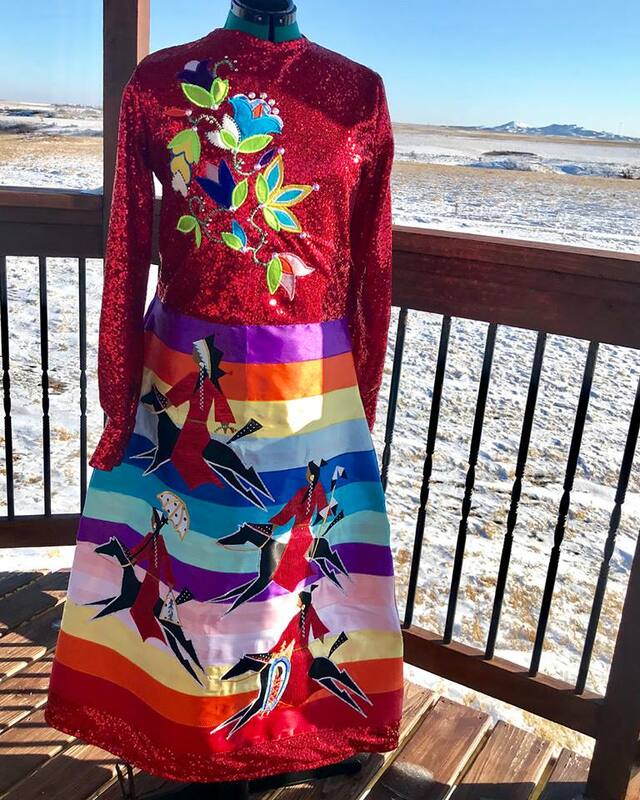 On Friday, Flying Horse was participating in the Native Fashion in the City event in Denver with an entire line of her fashion designs. The annual event showcases the work of Native fashion designers. Flying Horse has been designing fashions for several years in addition to her full-time work. She works in the chairman's office of the Three Affiliated Tribes. This fall she plans to devote all her work time to her fashion design business. 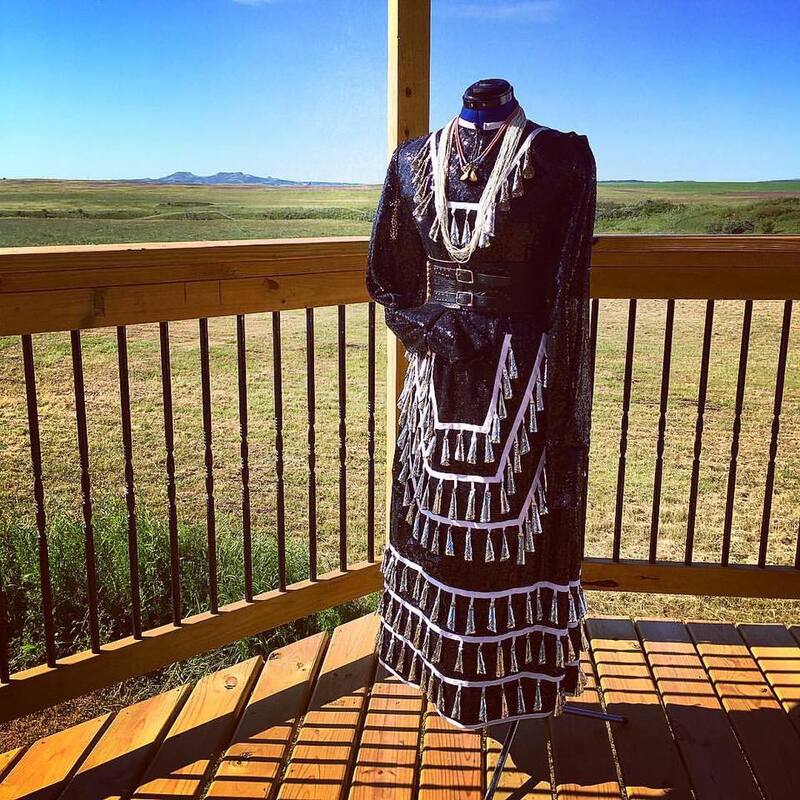 Responses to "Native American first contemporary dress designer to have gown worn at Oscars "